American meteorologist Jacqui Jeras, who calls herself a true weather geek, has always been passionate about everything related to weather which has even led her to have a bright career but during a certain period of time dark clouds hung around her life which kept her worried and upset for a long time. The Atlanta based weather reporter is a certified broadcast meteorologist who is currently working as a freelancer for The Weather Channel and CNN Network. Prior to working as a freelancer, she has served as a weather reporter for WJLA-TV, CNN, ABC7/News channel 8, WHO-TV and WEHT-TV. She was also a reporter for KCAU-TV. The renowned reporter holds seals of approval from both the American Meteorological Society and the National Weather Association (NWA). She has been awarded Peabody and Mark Trail awards for her exceptional contribution in weather reporting. Born on 2nd July Jacqui Jeras grew up in the Midwest with her sister Janelle and parents whom she is really close with and often shares their pictures on her social media. She earned a bachelor's degree in journalism and mass communications from Iowa State University in 1992 and received a Certificate of Broadcast Meteorology from Mississippi State University. Growing up in the Midwest, Jeras experienced extreme weather conditions which she found very fascinating and hence developed her interest and passion in the field of weather reporting. The passionate weather reporter started her career in the field of journalism as a senior reporter for KCAU-TV and soon started off as a weather reporter for WEHT-TV and WHO-TV. She also served as a councilor for the Iowa chapter of the National Weather Association in 1998. She reached heights in her career after she landed a job at CNN in 1999 as an on-camera meteorologist and continued working at the network for 13 years. 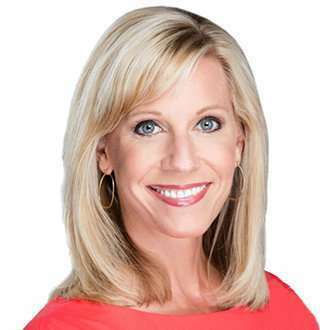 During her 13 years in CNN as a broadcast meteorologist, she earned an average salary of $50,979k. But due to some unspecified reasons she left CNN in 2012 and worked as a meteorologist for WJLA-TV ABC7/News channel 8 Washington, D.C. In 2016 due to some personal reason she left ABC 7 and started working as a freelance meteorologist since then. Living life with a loving family and a wonderful job it seems like Jacqui doesn’t have anything to worry about. But one thing had been upsetting her for a long time and it was breast cancer which is hereditary among the females in her family. Her mother and two aunts are the survivors of it but sadly her grandmother had lost the battle. After her own sister got diagnosed with breast cancer which had advanced to stage three, she became more conscious about her health too. So in 2013, she underwent a preventive double mastectomy which reduced her risk of getting breast cancer by 3%. Well, prevention surely is better than cure, good going for Jacqui! Throughout her times of difficulty, there was one person who has always been her support system and that is her husband Mike. Mike is a pilot and Jacqui's personal sky rocker husband. The lovely couple has been married for 25 years and has two children Aurora and Ashton. Jeras is a family person and for being near to her husband she even left her good paying job at ABC 7 in Washington in 2016. She moved back to Atlanta to be with her husband and live as a family together. Family and faith have always come first for me. That is why I'm happy to announce that I am moving back home to Atlanta. My husband was transferred back there last fall and the kids and I miss him every night he is gone. Guess the saying no house is a home without your loved ones around is true for Jacqui!